Moisture outside the home may be welcome (hello, greener grass! ), but inside, it’s a major problem. Fortunately, we can help identify and address potentially harmful moisture. Mold. 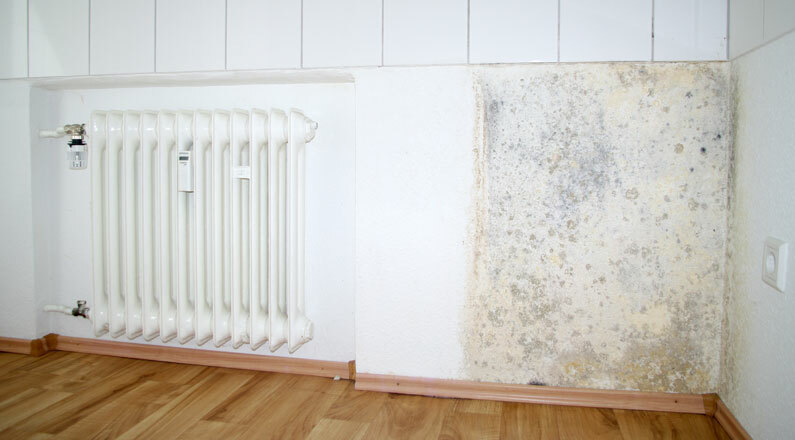 When moisture is allowed to remain in a home, mold has the opportunity to grow. Mold can trigger allergies and asthma, and can lead to serious health complications. Structural Issues. Moisture compromises the structural integrity of certain materials, including wood. Your home’s very ability to stay upright can be challenged by ongoing moisture. Pests. Allergy-causing dust mites prefer environments with at least 60 percent humidity, and cockroaches and mice are drawn to moisture. In other words, home moisture attracts pests. The good news is a moisture inspection will help families avoid these issues and the health, safety, and financial hazards they present.